As attractive as the Rosedale neighborhood is as a place to call home, unfortunately it also attracts it’s share of crime. What is it’s share? 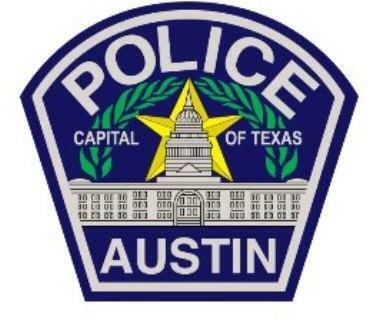 Well headlines like “Austin’s violent crimes rate third-lowest in the U.S.” might lead one to think crime is low, but it definitely goes on everywhere. For that reason it’s a good idea to do what you can to keep yourself, your stuff, and you family safe. Homes that are totally unlit at 8 o’clock at night are pretty good indications no one’s home. Timers to turn on a light or two in your house in the evening hours are a cheap investment and can really make your house look lived in. 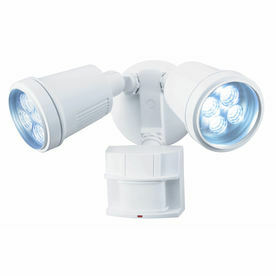 Lighting up the area outside, using flood lamps with motion detectors, can help literally shine a light on someone snooping around your side yard or car. Rather than wondering if anyone just saw him or her a burglar lit up by a light on a motion detector may choose to move on to easier pickings. And newer lights are available that use LEDs that are just as bright but cheaper to operate and save you the hassle of having to replace the bulbs as often. Rosedale’s Yahoo Group listserv, Nextdoor, and Facebook give you an easy way to ask questions about crime or let your neighbors know of any incident. You can learn from others and any shared knowledge can help everyone to be more vigilant and ‘gang up’ on the criminals. Crimes of convenience, for example rifling through an unlocked car, are some of the more common types of violations that go on in the neighborhood. Thankfully there are some pretty easy things you can do to help prevent them. Just keeping your car locked can go a long way to thwarting much of this type of loss. Many is the post where someone says “I realize that I left the car unlocked and now my xyz is gone”. 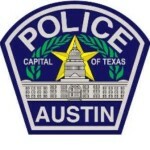 There are a number of online resources to keep up with what crime is happening in Rosedale and in other neighborhoods. The Austin Annual Crime and Traffic Reports can give you a view of what happened last year, and KrimeLab.com lets you slice and dice current crime information based on zip code, address and in other ways. The police want to help and they want your help. To that end, to help partner to fight crime, the police commanders hold regular forums for anyone who cares. Occurring about once a quarter, at the forum the commander and other police officers and detectives will bring the group up to speed on recent crime trends in our area, what they’re doing (and what we can do) to combat crime. They welcome your questions and suggestions. Note that Rosedale is in region 1. Back in the ‘old days’ the expression ‘Loose lips sink ships’ helped remind people that you have to be careful what you say and to whom. While online services such as Rosedale’s Yahoo Group listserv, Nextdoor, and Facebook can help neighbors ‘talk’ amongst themselves, we need to be ever vigilant against anyone with ill intent who might be ‘listening in’. Be careful not to give out too much information about your kids or vacation plans. For anything you post, think about it from the viewpoint of a criminal… are you telegraphing any information that may come back and bite you. If you do need to give details, for example, to a potential nanny or baby sitter, about what date and times you’ll be gone, or kids ages, names, gender, interest, keep that for your one-on-one with someone you believe you can trust. When in doubt, give out less information rather than more. You can form a neighborhood or block watch group, where you make a conscious effort to know who your neighbors are and to set up a communications system to let each other know when you’ll be gone or be having someone come to work on your house. In this way everyone can be on the look out for anything out of place. 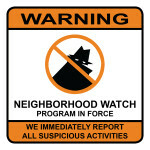 The city has resources to help you get started with your own neighborhood or block watch group. In return for going through the small amount of work required to set up such a group the city offers signs that tell crooks that your area’s under surveillance and that they’d be wise to take their trade elsewhere. 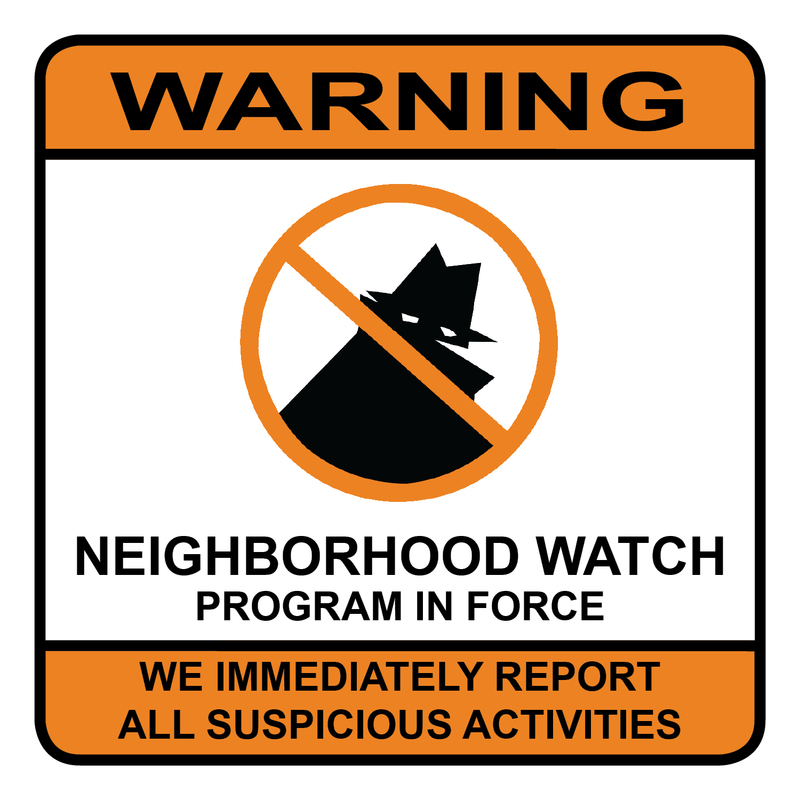 Even if you don’t form a formal block watch group it’s the neighborly (and smart) thing to do to keep an eye out for anything that looks out of place. The police encourage you to call in and let them know what you’re seeing. Which number to call in what situation is always a matter of discussion, but for things like a burned out street light you can call 311 and that will start the wheels turning to get if fixed. Where you think someone might be up to no good, like someone hanging around doing suspicious actions, the police ask that we call 911 and let them know what we’re seeing. When possible they like to come out and check up on such situations. Having more police presence is always good and ‘nipping problems in the bud’ can help avert a larger crime wave. If you are a victim of crime you should call the police and file a report. You may need the report for insurance and it helps the police know what the true crime rate is for a given area. Such information is used for allocating what limited resource they have. Enjoy Rosedale, but hey…. be safe out there.